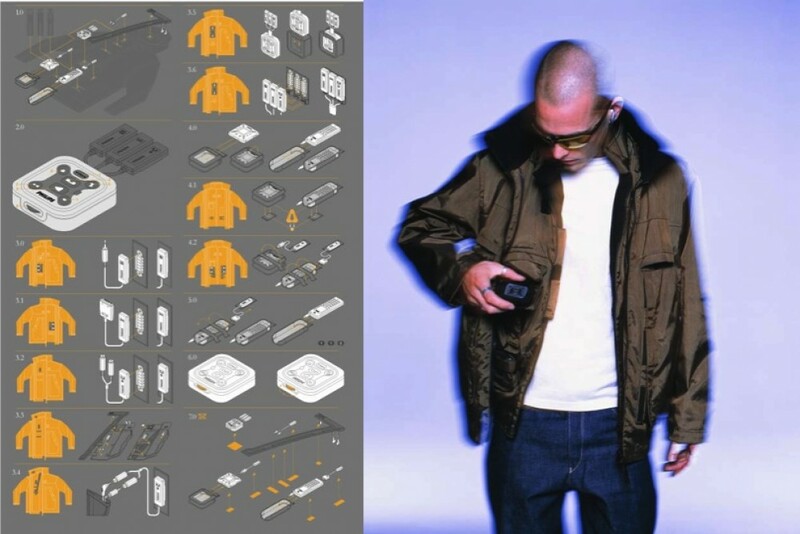 The patented5 ICD jacket was designed in four styles and all had a removable wired harness connecting a range of portable electronic devices carried by young professional people. 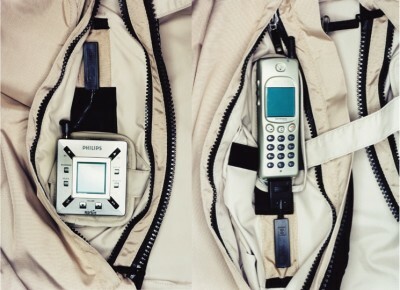 The jacket had strategic pockets for the Philips Xenium mobile phone, Rush MP3 player and earphones along with purpose built channels for the wiring through the garment. 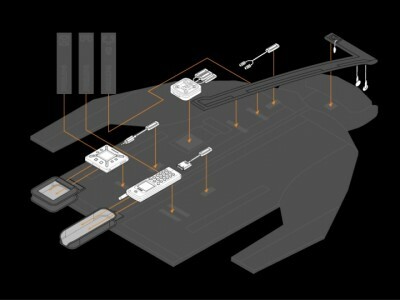 A central control module connected all the devices to allow the wearer to switch between them and control their separate functions. A hidden fabric loop and channel held the earphone wiring and routed it to the jacket hood where the earphones were housed until used. 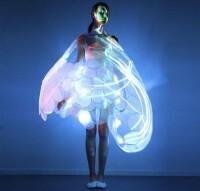 This product was ground breaking in that it was the first commercial offering where the garment was purpose designed to house and fully integrate a variety of consumer electronics. By keeping all the wiring hidden away inside the jacket it gave a clean and tidy finish and whilst allowing easy access to all the wearer’s electronic devices.